Dekton worktops are made from a mix of raw materials and a formula of 20 carefully selected minerals including glass, quartz and porcelain. These materials go through a process of being exposed to extreme heat and are then compressed with the help of the 25,000kg press, which in essence, mimics the process of rock formation which take hundreds of thousand years in nature resulting in an advanced version of their natural condition. While these materials have been used individually in the past for manufacturing products aimed at applications such as tiles and kitchen worktops, it is the first time that these have all been combined and further enhanced, to create Dekton which is known to be durable and highly resistant to damages and stains. Not only this, but Dekton surfaces are also resistant to high and extreme low temperatures, heat, abrasion, cold, and weather conditions when applied to exteriors. Make sure that you always use a cutting board, even when you only want to cut a single item. While cutting things directly on Dekton worktop would not chip the surface of the material, you probably would not want to put increased wear and tear on your countertop. Regardless of whether your worktop is made out of Dekton or any other material, you should always ensure dirty dishes are put away the dishwasher or the sink. Just like cutting, the dishes won’t chip a Dekton counter, but if a huge stack of dishes falls on its surface, it might result in a chip. Be very careful especially with heavy pans, pots and mugs. The worktop is no place for the kids to play, especially if there are running around and hit an edge of a kitchen island. If your child accidentally hits a big toy or bicycle on the worktop’s edge, it might cause a chip in it. You too should avoid sitting or leaning against the surface as Dekton is not a sitting object but an ultracompact surface intended for the best possible cooking and food preparation activities. If you’ve somehow chipped your Dekton countertop, make sure that you fix the chip yourself as soon as possible if the chip is small. This can be done with the help of resin-based sealants which can be purchased online. 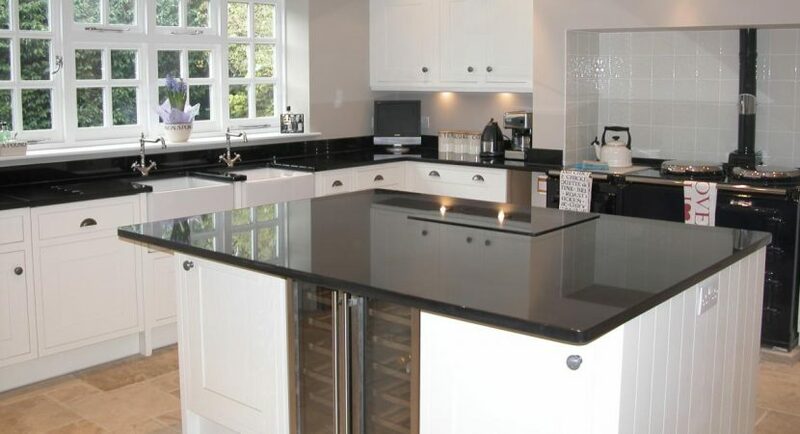 If you are not confident to carry out the repair yourself, you can contact a stone specialist or a remedial works Company who can fix the worktops for you. A reputed supplier of Dekton in London can also help provide great maintenance tips to avoid chipping. While Dekton countertops are not damaged even by strong chemicals, the chemicals might damage the sealant that you might have applied on a chip. Abrasive cleaners, chlorine bleach, vinegar, citrus liquid and ammonia should be avoided for cleaning a Dekton countertop. It is always best to use gentle cleaners when possible, and your worktops will remain beautiful for several years. Dekton is one of the most durable surfaces currently available in the market. If you are worried about chipping your worktops, you should not. Rest assured that the surface has successfully passed many quality tests which have proved time and time again that Dekton does not easily chip off. Use the tips mentioned above and you’d no longer be required to worry about this potential issue with your Dekton worktop. Look for a supplier of Dekton in UK to browse through the wide range of beautiful surfaces offered by the brand.